Duncan has over 22 years of experience in finance. 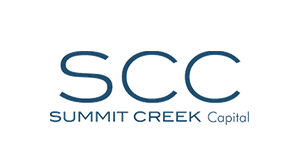 With a background in corporate valuation, corporate advisory services, employee stock ownership plans (ESOPs), asset management, and global bank branch management, Duncan brings his knowledge of deal structuring, project valuation, and legal matters to Summit Creek Capital. Over the last several years, SCC has developed and financed over 80 MWs of utility scale solar. Dave is a real estate professional with over 25 years of development and construction experience, having worked on all phases of projects totaling over $250 million in the Sun Valley and New York City areas. His project experience ranges from master planned developments to high end residential to recreational facilities to medical and institutional facilities. Hennessy Company is the overall development manager responsible for approval, development, and construction processes including design, entitlements, construction, and sales. Harry is the Head of School at The Sage School in Hailey, Idaho. With over 25 years of teaching experience, he has spent his professional life in education, the nonprofit sector, and working on projects that connect students and people to the world around them. Harry is responsible for the project concepts, design, and collaborations ensuring that Guiding Principles are translated to project concept and design. Quigley Farm is conceived as a functioning prototype of a new type of community development. It represents a template, a replicable model that can be duplicated in other locations and environments. This is the Quigley Initiative—to spread these ideas. Quigley Farm provides a genuine impact investment opportunity based on real market returns, simultaneously broadening the standard definition of collective impact and also expanding the economic foundation beyond pure philanthropy. Quigley Farm seeks to leverage these investments to support the social and environmental elements of the project. In this way, Quigley Farm represents an evolution of the collective impact model to a blended-value platform upon which true economic viability and philanthropy exist in a mutualistic relationship. Quigley Farm utilizes private enterprise to generate return for investors and to fund a backbone charitable organization, the Quigley Foundation, which provides support to nonprofit and commercial collaborators. In this way, Quigley Farm offers an impact investment opportunity with genuine and sustainable economic, social, and environmental returns.